As part of the "Tilt Against Cystic Fibrosis" benefit, there will be a jousting clinic taught by Charlie Andrews of the Knights of Mayhem. 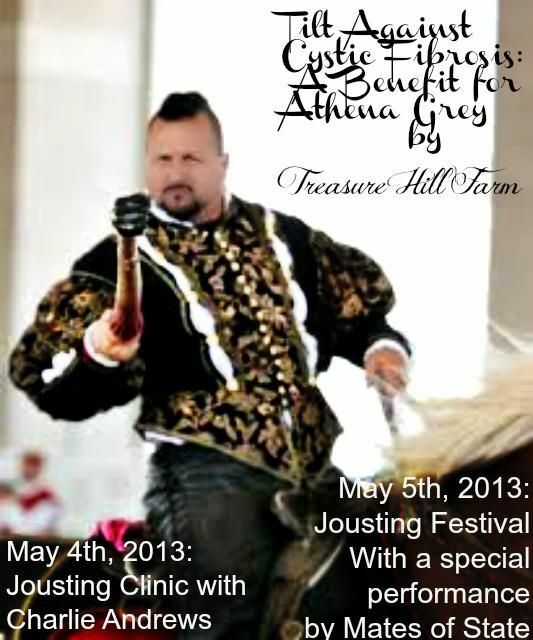 The clinic will take place on May 4, and on May 5 there will be a jousting demonstration. The event is to benefit Athena Christine Grey, who is ten years old and lives with Cystic Fibrosis. You can find out more about the jousting clinic on this Facebook page, and more about Athena Grey and the benefit on the "Tilt Against Cystic Fibrosis" webpage.